Sharp announces the company’s first short-throw DLP BrilliantColor Projector, the PG-F267X. The PG-F267X simplifies projector placement in classrooms and meeting rooms with limited space, achieving a 100-inch diagonal image from a distance of just 4.3 feet. The projector also features enhanced inputs, including a RJ-45 LAN terminal for remote access and diagnosis. The AVerPen Interactive Collaborative Learning Solution combines collaborative learning with mobility, simultaneous teacher-student engagement, and immediate feedback, all from virtually any surface in the room. AVerPen starter sets include one teacher pen with four student pens, able to work simultaneously. Teacher pens control all AVer+ software features as well as activate, limit, or expand student pen functions, and fully integrate with AVerVision document cameras. Since the pens function on virtually any surface, teachers can do not need to carry a static board or carry a bulky slate. Califone International has upgraded and expanded its line of monaural and stereo listening centers. These learning centers are now available with six positions in addition to the existing four position listening center, which includes six or eight stereo headphones (2924AVPS). Each center is expandable to include additional students if needed with the 10-position jackbox with volume control (1210AVPS). Monaural Listening Centers are available with six positions, which include six or eight stereo headphones (2924AVP) and an 8-position jackbox with volume control (1218AVPY). The 1218AVPY is now standard for all monaural centers and replaces the 1208AVPY, which did not feature individual volume controls. ViewSonic introduces the PJL3211, PJD5351, and PJD5111 and projectors with enhanced network and multimedia capabilities. The PJL3211 is a bright, portable, short-throw LCD projector. The product's six-picture mode capabilities enable high-quality images to be displayed in the dark, daylight, or onto a white or blackboard. The PJD5351 is ViewSonic's new lightweight, portable short-throw DLP projector. 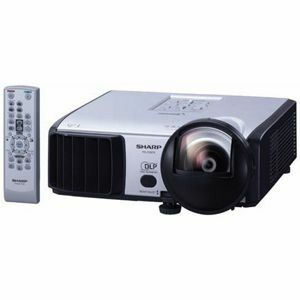 This projector allows for digital zoom and manual focus capabilities, making it easy to place on a table-top, mount on the ceiling, or pair with a short-throw projector arm. The PJD5111 projector features eight picture modes for a clear, balanced image on multiple surfaces with various lighting conditions. Samsung Opto-Electronics America announces the Samsung UF-130DX Presentation Station--a high-definition digital presenter with an onboard processor running Windows CE. The ability to work with multiple memory devices, such as compact flash cards, SD cards, or even USB flash drives, allows users not only to save their presentations but even upload their files to the UF-130DX for playback. The UF-130DX is also networkable (via Ethernet 10/100). Attach any USB keyboard and mouse to access the Internet directly from the document camera. If a presentation was left behind on another system, use the UF-130DX Remote Desktop Control to access a remote PC via a campus network to download the file. Also unique to the UF-130DX is the ability to provide live, dual outputs from the document camera, as well as the input source. These live displays can be sent to multiple monitors for side-by-side viewing or overlaid on a single display for picture-in-picture viewing. Using a Logitech camera to deliver the dual functions of a document camera and Web cam in one solution, Dukane designed and produced a flexible arm mount to enable users to move the camera into the proper position for close or wide-range focus. The base and neck come fully assembled. The camera inserts into the exclusive mount design by sliding it into place. The Logitech camera offers full operation of the camera and microphone with one USB cable to the PC. The camera features autofocus and auto light settings, has photo resolution to 8 megapixels, delivers HD video resolution to 1600 X 1200, digital zoom, and field of view to 64 degrees for video conferencing. The integrated mic features echo and noise reduction.